oncerning the system of belief that posits that the seat of Saint Peter has been vacant since Pope John XXIII (1958 – 63), or at least since Pope Paul VI (1963 – 78) (the Vatican II Popes), I’ve never said anything publicly about it because I thought that it was harmless. I actually didn’t believe that people who are able to follow reason through to its logical conclusions could hold onto this belief system in good conscience. While, I still believe that the people who believe this idea are just a fringe and minuscule group of self-proclaim Catholics that barely deserve mention, I can no longer dismiss their belief system as being harmless, and for that reason, I can no longer remain silent about it. What happened? What changed my perspective? I began dialoguing with a good man who feels that he can no longer attend the Sacrifice of the Mass because by buying into this belief system means that he can no longer receive the Holy Eucharist in a Catholic Church that is union with the Pope. I don’t take kindly to any belief system, whether it be Islam, Sedevacantism, Protestantism, Mormonism, or whatever, keeping people away from the Holy Eucharist. Therefore, I am against Sedevacantism. Sedevacantism (Lat. meaning literally “the seat being vacant”) began in principle at the end of the Second Vatican Council; a council it rejects on the basis of its teachings on ecumenism, religious liberty, which they view as inveighing against the Catholic Church’s pre-Vatican II unapologetic language of Catholicism being the one true religion, outside of which there is no salvation. 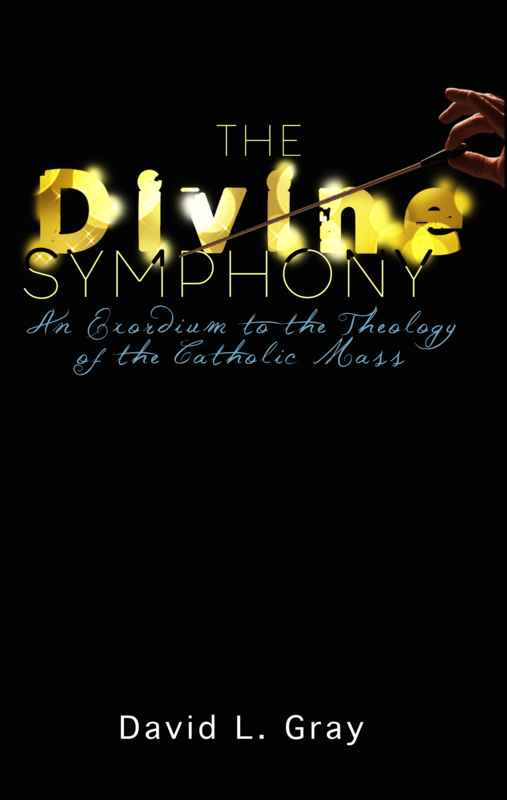 Largely, on the radar of Sedevacantists is the Novus Ordo Mass (also called the Ordinary Form Mass, the New Mass, the Mass of Paul VI) which was promulgated on April 3, 1969. Altogether they believe, concerning this Mass, that it is evil, harmful to the faithful, heretical, and that the Popes who were involved with it are false Popes. Therefore, because the new Mass is always evil and harmful, but the Catholic Church is always good and true, there is no way for the Second Vatican Council could have been a legitimate ecumenical council of the Church. Early proponents of this belief system and schismatic religious orders are not worthy of mention here if Sedevacantism sins against the faith by being either an incredulity, heresy, apostasy, or a schism, which I believe it does on several grounds – namely rejecting the current Papacy, rejecting the Sacraments of the Church in current praxis, and leading people away from the Catholic Church (Cf. CCC. 2090; CIC 751). Below are what I find to be four fatal errors of Sedevacantism. In summarizing why the new Mass is evil and harmful, Sedevacantists would point out things like how the priest now faces the congregation instead of God as he did in Tridentine Mass. They believe that this reversal of attention by the priest means that the new Mass is centered on man, while the Tridentine Mass, the only true Mass for the Latin Rite, is centered on God. As evidence of the evil machinations wrought to deliver this evil to the people of God, they’ll pull in documents to show who, why, and how the new Mass was subverted and protestantized, through the influence of Freemasons, liberals, and others. Their Mass Nostalgia of the Tridentine Rite has risen liturgy, which belongs to tradition (lower case “t”), which can change, to the level of sacred Tradition, which cannot change. To the contrary, liturgy does not belong to the body of sacred Tradition, and for that reason is can change as frequently as it must. Essentially, what Sedevacantists are arguing is that the Mass is evil because it’s not how it used to be. It’s really quite a sophistic and myopic argument once you follow the logic through to its reasonable conclusion. Their argument begs the question whether the Mass prior to the Tridentine Mass was also evil and harmful. Being that the Mass of Saint Paul that we find in 1 Corinthians 10 also lacked the form of the Tridentine Mass, what it also evil and harmful? That Mass, which seems to be very similar to what Justin Martyr (100-165) described in his Apology, seems to have been a simple blessing/consecration of the species; perhaps using same formula of words that the priest uses today from Luke 22:17-20. I personally have a preference for the Byzantine and Melkite liturgies, so I do sympathize with people who love the Traditional Latin Mass. The Novus Ordo is a completely different liturgy. But for Sedevacantists to hold that the Novus Ordo Mass is evil and harmful is not only sophistic and myopic, but it is unverifiable. While they might point to anecdotes and recent statistics that demonstrate that Catholicism is in bad shape in West, in regards to Catholics who know and believe what the Church teaches, it doesn’t then follow that the new Mass or Vatican II is responsible for that decline in practice and knowledge of the faith. Moreover, just because the new Mass is different than the Tridentine Mass, that is different than the Mass that preceded it, it doesn’t then follow that the Quad Presence of Christ is absent from it, or that Jesus has no longer come to it as the Holy Eucharist since the close of Vatican II. Nor could they verify that either of those things are true, and being that they are unable to verify them, there is no reason to be certain that they are true, and being that these are things that we cannot be certain about, they are unworthy of our assent. To be sure, there is no just cause to interject faith here as a reason to believe the teachings of Sedevacantism, because Sedevacantism is faithless and dead in faith; for, the work that it produces works against the Holy Eucharist. There is also the issue concerning the change in the form of words used to consecrate the hosts. In the Tridentine Latin Mass, the words used are “Take this, all of you, and drink from it. This is my blood, given up for you and for many so that sins may be forgiven.” Originally, the confection formula used for the Novus Ordo Mass was “for all“. On October 17, 2006 Pope Benedict changed the English language form back to better translation of the Latin, which is “for many” and closer to the Matthean text (Cf. Mt. 26:28). Although this issue would now seem to be resolved with the updated English language version of the Novus Ordo liturgy in 2011, in pressing the issue here, Sedevacantists would argue, using quotes from Pope Leo XII, Pope Eugene IV, Pope Saint Pius V., and the Council of Trent about what form of words must to be used to validly consecrate the Holy Eucharist. They argue that originally changing the form to “for all” changed the audience of the sacrifice, which changed the meaning of it, thereby, invalidating the sacrifice. While their issue would seem to have been corrected now, and was NEVER an issue outside of the English language versions of the Novus Ordo Mass, this doesn’t resolve their claim that only a false council could produce an invalid consecration formula. Of course, the counter-argument to their time machine case is that the bad English language translation never intended to say something that was not union with the Universal Church or something other than what had been said in Latin prior to the Novus Ordo. Nor could they prove that Jesus stopped coming to the English language Novus Ordo Mass for 45 years as the Holy Eucharist, while that bad translation was in place. Sedevacantism posits that the new Mass is evil, but then it goes ahead and purports another evil itself by telling its adherents to avoid going to Mass and receiving the Sacraments in a Church that is in union with the Pope. Catholics are obliged (pre-Vatican II) to attend Mass every Sunday and Holy day of Obligation and receive the Sacrament of Penance and Reconciliation at least once a year. They might also respond to say that some Catholic priests who agree with their teaching are able to offer valid Sacraments and a legitimate Mass, but being that such a priest would be excommunicated (at least latae sententiae) for being a Sedevacantist, he wouldn’t have the faculties to function as a priest anyway, nor does the Sedevacantist movement have the authority, infallibility, or indefectibility to do anything, let alone license or ordain priests. Again, what we have here is a repetition of a claimed evil. They do what they are against. Avoid Sedevacantism. I know it’s tempting. I know the hour we are living in. I understand why many Catholics are feeling like something is wrong; something in the air doesn’t smell right. I feel it myself and I think that is a legitimate sense, but the proper response is not heresy or abandoning the Church. To the contrary, the proper response is doubling down to live out the faith in holiness. Let God take care of the big picture, while you simply focus on the details of His call on your life to obedience and humility. If the Novus Ordo Mass makes you feel some kind of way, then just go find one that your spirit is attuned to – there are plenty of them, but do not forsake Christ the Holy Eucharist. For, the promise is still true. Those who eat His Flesh and Blood will have eternal life. Just place all of your Trust in Jesus!